Another powerful online review management feature is our custom email subjects. A customer would be more inclined to open and respond to an email that is addressed to him/her rather than pre-canned email. 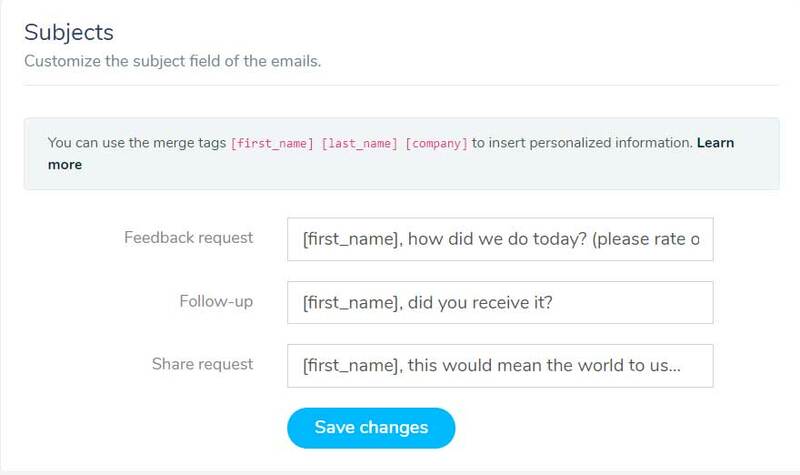 in the email tab of your dashboard you can personalize the subject line of your Feedback request, Follow-up and Share request emails by using the merge tags; [first_name] [last_name] [company].